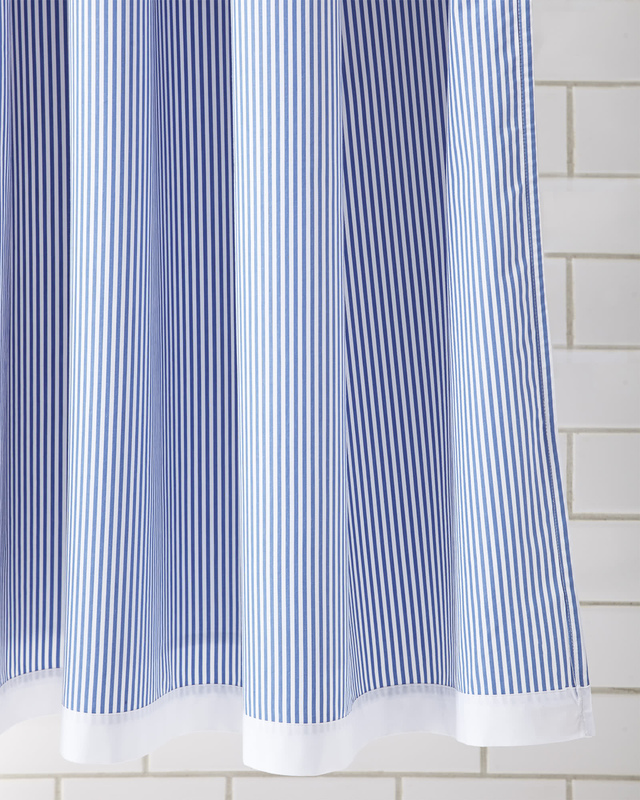 Oxford Stripe Shower CurtainOxford Stripe Shower Curtain, alt="Oxford Stripe Shower Curtain, "
Print We've always loved the crisp look of cotton percale. We added classic yarn-dyed stripes to give the sharp material a bit of depth, and a fresh palette to brighten things up a little. (Oeko-Tex certification means the materials we chose are free of harmful chemicals, too.) Go ahead. Make a splash. 1” white binding on bottom.